The unique NetWorth Radio broadcast provides meaning to investors by delving deep into the most important headlines. By popular demand, Spencer McGowan now broadcasts his weekly Advance Report Radio shows in video format. Check back each week for the latest financial news and insights! Part of our planning process calls up a client’s original plan to review progress towards goals. By defining the outcomes desired, decision making and corrective actions are guided by the objective instead of emotions. This week’s program dives deep into the victories and mistakes of real investors. The Dow and the S&P indexes climbed to near record high points this week while oil prices spiked to the highest levels of 2019. Why? This week’s program provides the answers and high level intelligence reports for 2019. One of the biggest emerging financial stories of 2019 is the dramatic drop in long term interest rates over the past year. Join us for this week’s fast-paced NetWorth Radio tour of the global financial markets. his week’s NetWorth Radio program presents longer term strategies that address the strategies not dependent on playing timing roulette in overpriced assets. Join us and be empowered to make great decisions. solutions for investors? The Dow topped 26,500 for the first time in January of 2018. Most of this week’s trading levels were below 26,000. A stealth bear is a range bound sideways correction where the equity indexes fail to make new highs. If the assumption for growth is called into question with “global slowdown” headlines, then what strategies can work without the assumption of price appreciation? Partly Boring with Scattered Surprises. This week’s decline in US equity markets was concurrent with the European Central Bank cutting growth estimates for 2019 to just 1.1% for the Eurozone. The theme of slowing global growth continues to dominate the financial markets. What does this mean for investors? I spoke with an institutional investor this week who simply wants to earn over 3% a year in a conservative portfolio. The irony is that after fees, the organic cash flow is under 2% with a mix of stocks that they described as “companies that mother would pick” effectively making the portfolio a bet on price appreciation instead of the real objective. Solution? Real dividends and interest that beat the target return in reliable net cash flow. What would have made a key difference for long term investors? Confidence comes with great research, excess portfolio cash flow, and a long term well-founded goal to maximize outcomes with reliability. This weekend’s NetWorth Radio program shreds the salacious headlines into fertilizer for great portfolios. The power of reinvestment over the next few years can make a powerful difference for you and your family. Throughout the 4th quarter of 2018, we emphasized in each broadcast the bargains to accumulate, where appropriate, in global high yield bond funds and energy infrastructure. These high cash flow assets led traditional fixed income and equity index allocations in January’s rally. This weekend’s program takes the capital call into an action plan for now and the next 5 years. When growth slows what do you pay for a company? For a bond fund? Spencer McGowan discusses the net present value of discounted future cash flows and cap rate lessons for investors. Deflation or lower Rates? A dollar tomorrow worth more than a dollar today? What does it mean for 2019? What happened after Christmas Eve? The “mini-panic of 2018” appeared to have run its course and tax loss selling essentially ended. Top financial headlines of the week include Apple’s warning letter on disappointing revenue. Thursday began with AAPL shares falling over 10% pulling the Dow back below 23,000. 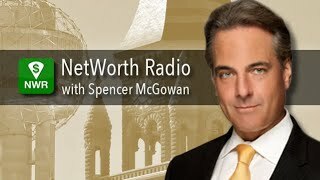 In this NetWorth Radio Advance Report, Spencer McGowan, President of McGowanGroup Asset Management, delivers financial news and intelligence with insights you can act on for December 28, 2018. 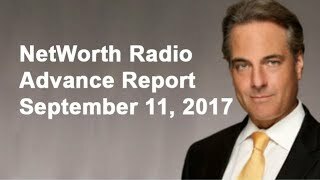 In this NetWorth Radio Advance Report, Spencer McGowan, President of McGowanGroup Asset Management, delivers financial news and intelligence with insights you can act on for December 17, 2018. Dow still appears to be range bound even with turbulent time this week, potential easing on Fed Rates increases signaled by Fed Chairman Jerome Powell, and Altria takes a stake in Cannabis Company Cronos. Dow still appears range bound, but small pop this week contributed to “near neutral” comment from Jerome Powell, Fed Chair, this week. We characterized October as “nowhere to hide,” a quote from other portfolio managers. Smart investors are now looking for guidance for 2019. This week’s program delivers a fast-paced tour of global financial markets as well as an in-depth analysis of relative bargains and allocation strategies. What in the world is going on? 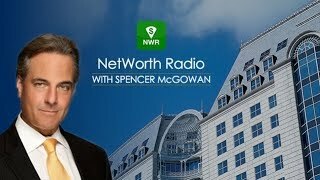 This week’s powerful NetWorth Radio interview with Richard Herbert, CFA and Templeton Portfolio Manager takes a “global macro” view of the financial markets to prepare for 2019. This week’s program focuses on GOOD MATH for forward returns, BARGAINS, and, of course CASH FLOW strategies. Where do we go for 2019? We will cover the choices from safety to a well constructed balanced portfolio. Once the tightening begins to decrease asset prices, the academic debate turns to: how high is too much for the base rates? October was a clear demonstration that they have arrived. The October lows took the Dow total return for the year to near zero after falling below 25,000. The irony is that the Dow and S&P indexes recently hit a high with gains of about 10% for the year, when the Dow topped just below 27,000. The October volatility has many investors re-evaluating forward strategy. This week’s program will focus on possible outcomes and corresponding investment strategies. Risk control and a focus on long-term bargains will be very important for 2019. 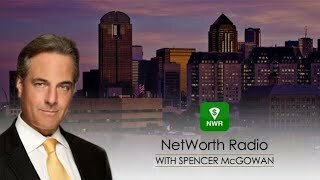 This week Spencer McGowan talks about tech wreck leading the market decline, possibility for pipelines being good income bargain, as well as answering if there is a Debt Crisis coming in the markets. Patient investors have enjoyed a much-deserved windfall over the past 10 years in both growth stocks and global high yield. The infatuation with technology momentum has left tremendous bargains for investors with the wisdom to think long term. This week’s program highlights attractive investment categories with quantification of forward cash flows. In this video, Spencer McGowan answers questions about earnings driving the equity rally, cannabis stocks, and gives insight on how the Elon Musk’s behavior affects Tesla. The cryptocurrency meltdown become official this when the index of 10 cryptocurrencies completed over an 80% decline in value exceeding the losses of the tech wreck that began in the year 2000. How much will it cost to drive a company higher if the stock is valued at a trillion dollars? Before we answer that, Spencer McGowan reviews the dow jones industrial average in long-term and its implications. In this video, he also dives deep into the global financial markets and gives an educational tour, going back to 1999. In this NetWorth Radio Advance Report, Spencer McGowan, President of McGowanGroup Asset Management, delivers financial news and intelligence with insights you can act on for September 3, 2018. In this NetWorth Radio Advance Report, Spencer McGowan, President of McGowanGroup Asset Management, delivers financial news and intelligence with insights you can act on for August 27, 2018. 7-year-old campaign on talk radio "The end of America" predicted that the dollar would collapse due to federal policy. Spencer McGowan offers some key education on where the value of the dollar is to date. Starting with the long-term chart and the Dow Jones industrial average, Spencer McGowan is here to help you set your strategy to make good investment decisions through the end of 2018. In this NetWorth Radio Advance Report, Spencer McGowan, President of McGowanGroup Asset Management, delivers financial news and intelligence with insights you can act on for August 6, 2018. In this video, Spencer McGowan gives a fast paced tour of the markets, including investment strategy implications for investors. 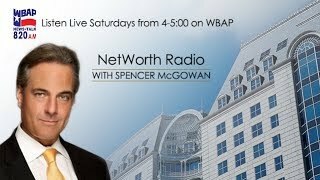 Spencer McGowan discusses many bank stocks. Some highlights include Goldman Sachs, Texas Capital Bank, and Morgan Stanley. Spencer McGowan gives a fast paced tour of conditions in the global markets. Spencer McGowan continues the mid-year client update and offers his ideas to help you get returns. This week’s program will provide a tour of year to date performances in the major asset classes as well as highlights from around the globe. This week, Spencer McGowan gives the forecast on the one year chart for the NASDAQ Composite Index. 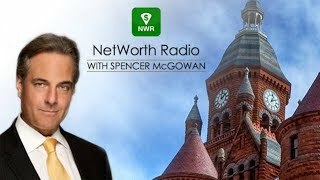 Spencer McGowan discusses all things bonds, stocks, the Federal Reserve, and trade wars. Spencer McGowan provides a fast paced tour of the global financial markets, including the Russell 2000 Index. This weeks program offers key educational points and portfolio strategy implications. Spencer McGowan gives a mid-year read on what is happening in the financial markets. 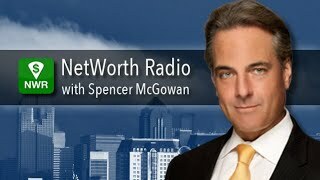 Spencer McGowan gives a deep dive into what the financial markets look like. Spencer McGowan discusses which two industries to keep an eye on. Spencer McGowan discusses the 3 asset categories, why Tesla experienced a recent dip, and much more. Spencer McGowan the rebalancing correction of the S&P 500, also known as the Winter Storm of 2018. Spencer McGowan discusses the ideal allocation model; growth with income, high cash flow, and safety and income. Spencer McGowan discusses oil prices and their relation to the pipeline index. 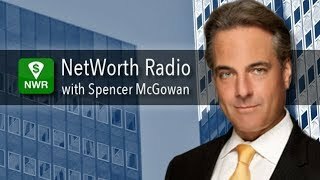 Spencer McGowan discusses the S&P 500 Index, tax reform, technology stocks, and much more. 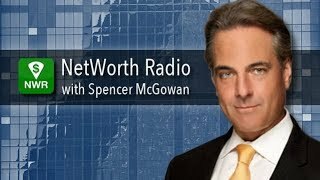 Spencer McGowan discusses defense stocks, Texas Instruments, the effects of the recent Facebook controversy, and much more. This weeks program features an extended interview with Dr. W. Michael Cox, the former Chief Economist of the Dallas Fed and founding director of SMU's O'Neil Center for Global Markets and Freedom. In this video, Spencer McGowan discusses the sea change in the equity market. This is not a recession. Not only have jobs not been lost, they are on the rise. Spencer McGowan discusses here. Spencer McGowan shares the latest on the FANG index. This includes such technology companies as Facebook, Apple, Netflix, Google, and more. With a 3,000 point drop, there is a sudden risk in the dow. Spencer McGowan talks us through the volatility index and how the danger index works. Spencer McGowan is sharing this weeks advance report early based upon the excessive volatility that we've seen over the past 2 weeks. North Texas shareholders of Dr. Pepper had a great week with a 25% gain on Monday. On this edition of the Advance Report, Spencer McGowan dives deep into copper and other durable goods and what they tell us about the global economy. Brief supplement of the 5 charts on our site covering consumer debt, household net worth, service ratios, and the federal net debt. The rally took record highs every day this past week! Spencer McGowan dives deep into investment strategies with more charts and graphs and talks about the new highs of the first 2 weeks of 2018. How do we address the equity prices hitting 25,000 for the first time in history? Spencer McGowan digs in and talks about this rally and where it will go next. On this edition of the Advance Report, Spencer McGowan gives a tour of the dangers and opportunities for the new year ahead. Listen in on our Christmas edition for the latest financial news with insights you can act on in the new year. Spencer McGowan shares some important lessons and talks about what could be one of the best categories of 2018. The program this week is a special report for 2018. Spencer McGowan starts off talking about two big changes made by the Federal Reserve. On this edition of the Advance Report, Spencer McGowan shares the impressive numbers we've seen so far in 2017 and more! Spencer McGowan shares his thoughts for investors that will lead to great decisions in the new year. The program this week covers where we are in our neutral strategy for asset allocation and the cycle in where interest rates are. This week, Spencer reviews the extraordinary growth we've seen from the new index the FANG Trade and the overall impact the technology sector has had on the market in 2017 plus we that means for the upcoming year. Spencer McGowan discusses the big implications going into 2018. Spencer McGowan reveals a surprise story that the financial media has not covered about Consumer Finances! The operating earnings for S&P 500 companies had amazing 18-month increases in corporate profits. Spencer talks about this incredible 32% gain in after-tax corporate profits and how proposed tax reforms may impact those numbers. 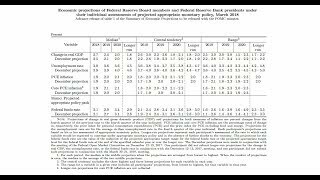 Spencer McGowan reviews the recently released Federal Reserve projections through 2020 and compares those forecasts to the past to see what insights we can glean from these new numbers. There's been a 4 fold gain in product pricing since 1977! If you don't have solid retirement portfolio, you could be in for a rude awakening. Don't miss Spencer insights on putting together a fixed income strategy in today's Advance Report. Hurricane Harvey and Irma have caused major fluctuations in the market and Hurrican Jose and another tropical storm are close behind. Spencer discusses the implications of these market shifts and more. The Hurricane Harvey tragedy is having major impacts on the oil and gas markets. Spencer discusses these fluctuations and what they mean moving forward. Spencer McGowan takes a look at year to date returns so far in 2017 and shares his insights on what these could mean for 2018, plus some additional insights on what your strategy should be for the rest of this year! Spencer McGowan reviews the latest financial news and intelligence with insights you can act on! Spencer gives a rapid-fire overview of the financial market using eight key charts in under 4 minutes! Fasten your seat belt and hold on tight.